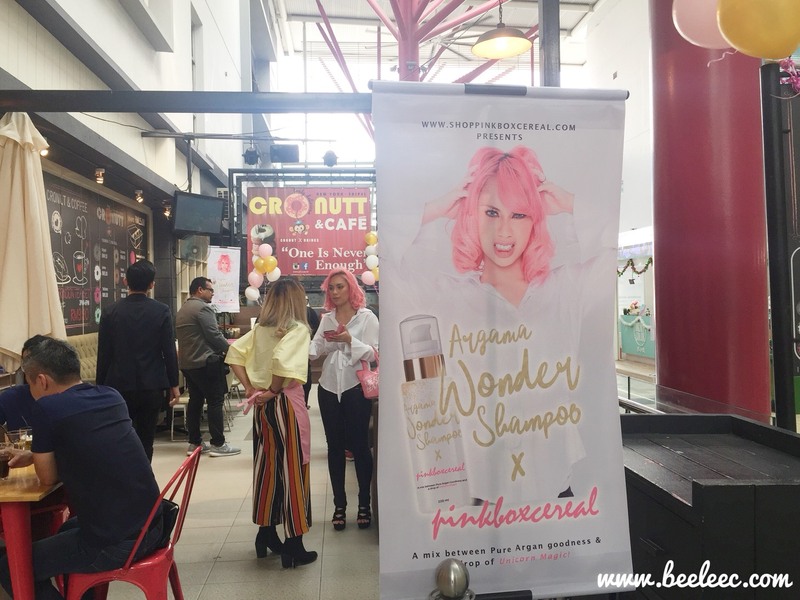 I don't constantly review hair care range coz I always feel they either suit me (but nothing much) or I just don't really see any effect. However, since last year, I have shifted to more natural-based hair care product coz lesser chemicals are better on the long run. I have been using ginger-based product and am lovin' it. That will be on a separate post , but first lemme introduce you to this! 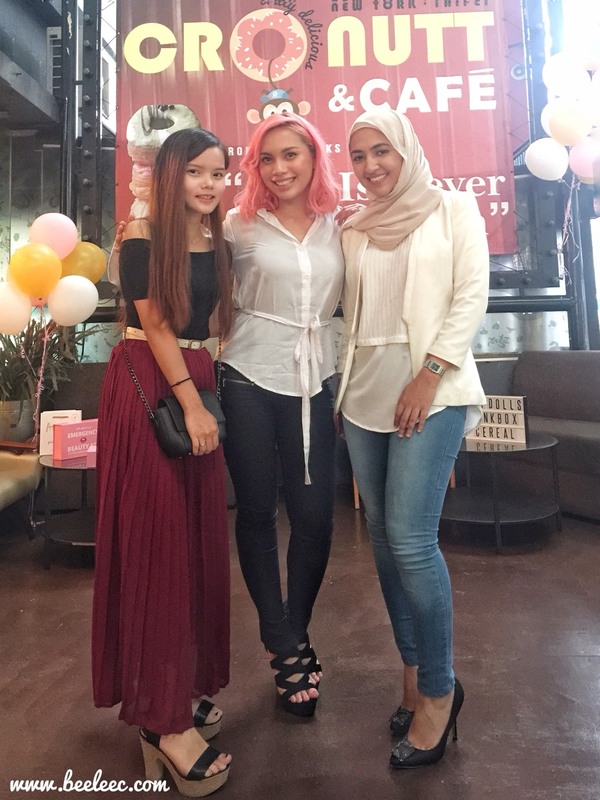 Firstly, thank you to Kak Shaf who has been so inspiring to many (including me!) and I cannot thank you more for looping me in! 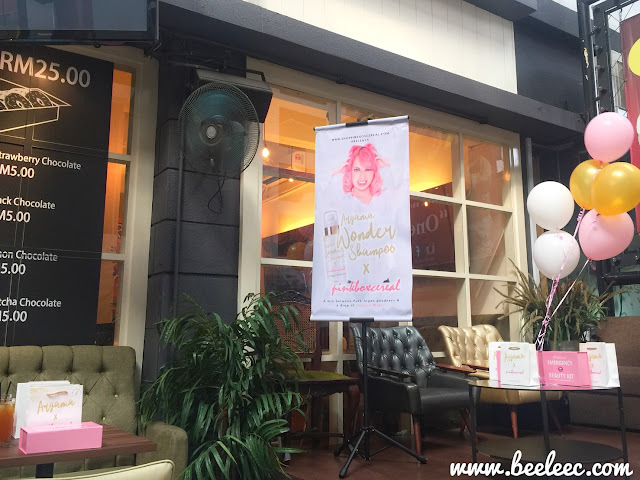 The event took place at Cronut & Cafe, Sunway Giza. 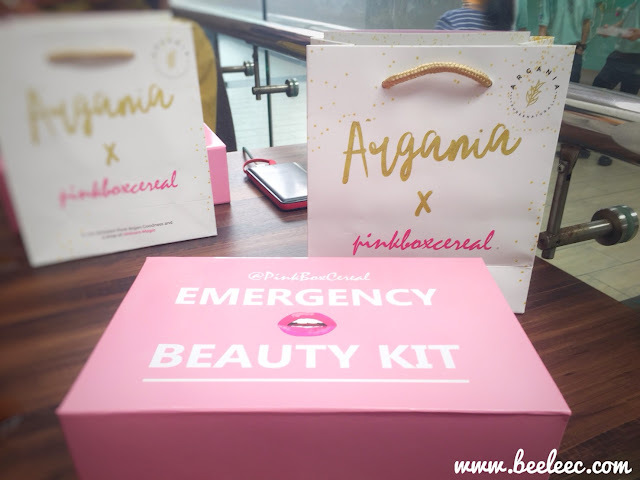 On each tables were the signature pink #EmergencyBeautyKit box and the crossover of Argania and Pinkboxcereal paperbag. 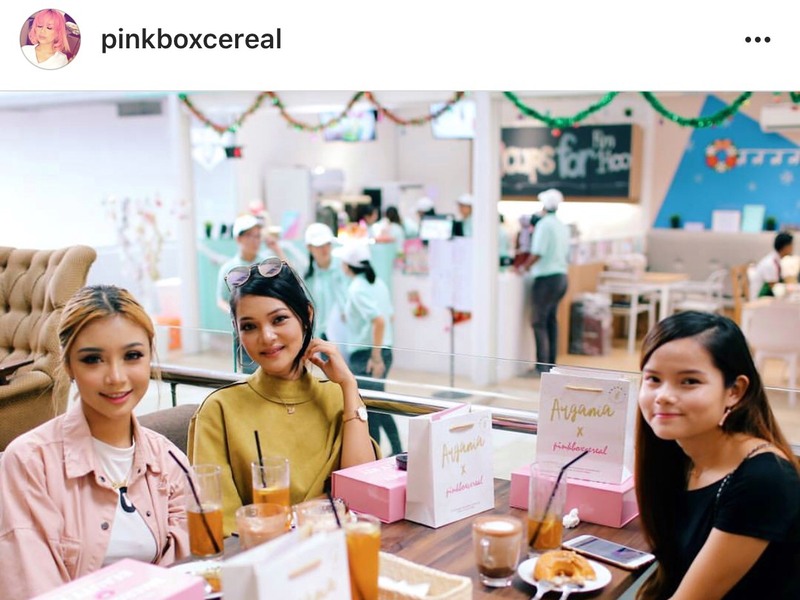 This is a IG and Youtube channel name used by Nurul Shafiqah Shafie a beauty guru and MUA with quite a number of followers on her social media. 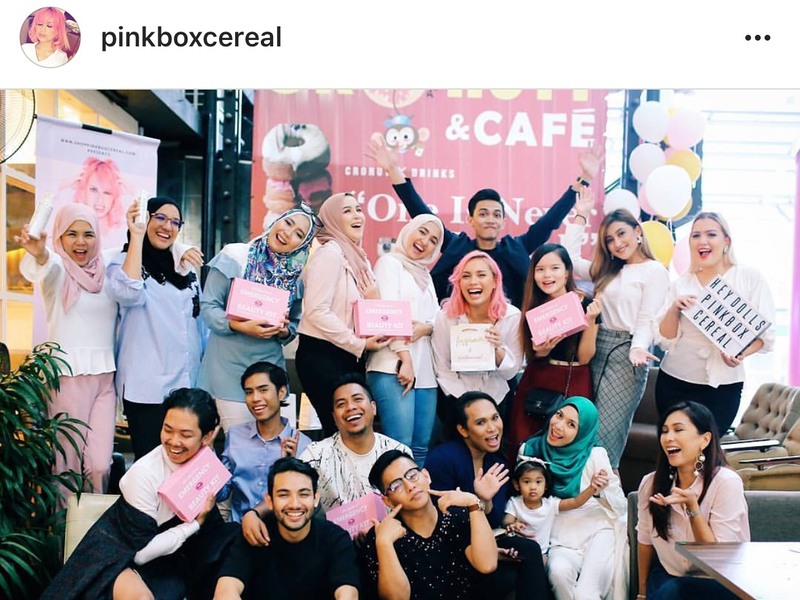 With many subscribers/followers inquiring her beauty routine item etc, her husband, Iylia have initiated the online business now known as Shoppinkboxcereal. Shoppinkboxcereal is a platform to support local brands which has been tried and tested by lady boss, Kak Shaf herself! 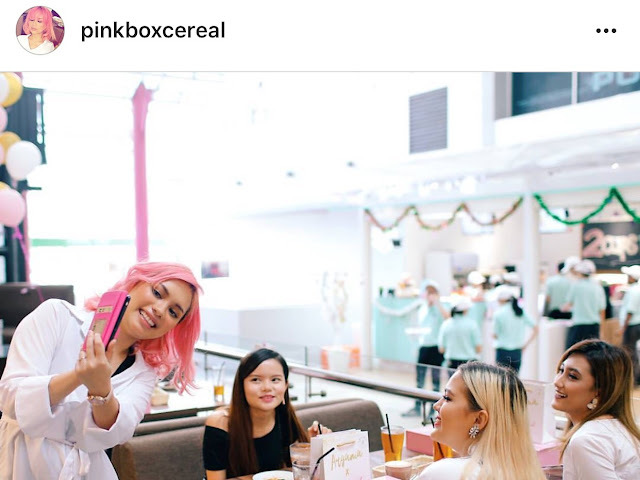 She have also launched her own beauty brand, Pinkboxcereal Beauty. Checked them out yet? Argania brand is all about using Natural Resources, particularly Argan Oil which is rich in Vitamin E and fatty acids to preserve and improve your skin condition. Upon reaching the location, I can see pretty balloons and cute set up of the pinkboxcereal boxes and white glittery gold paper bag. On the left is Lady Boss of Shoppinkboxcereal, Kak Shaf aka Pinkboxcereal and on the right is Lady Boss of Argania. A mix between Pure Argan goodness and a drop of Unicorn Magic! I was especially intruiged with the color of the shampoo and conditioner coz they are both PINK! Most importantly, the argan-based shampoo, conditioner and tonic helps to nourish and strengthen hair. 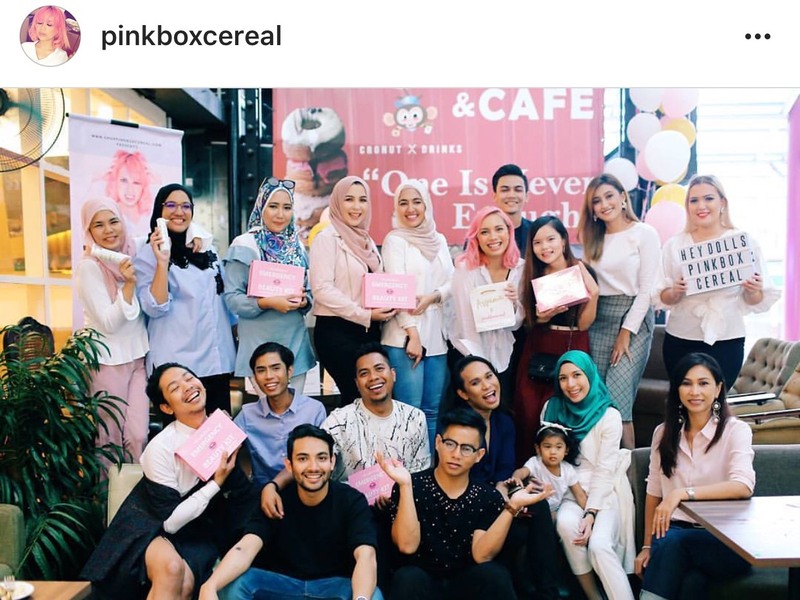 The reason why I love shopping with Pinkboxcereal is that it always come with little notes or booklets that comes with tips from lady boss, Kak Shaf, herself! I believe this is why all her dolls are so fond of her and her classes. Argan-based shampoo is rich in Vitamin E to give your hair a better volume, strength, and nourishment with an added touch of luxury. Reduces frizz, enhances shine, clears dandruff, softens hair, hydrates hair and scalp, repairs damage and protects hair and scalp from harsh surroundings and harmful chemicals. Lather a few pumps of this yummy pink shampoo into your palm or directly onto your hair/scalp. Gently massage your hair and scalp for 1-3 minutes. 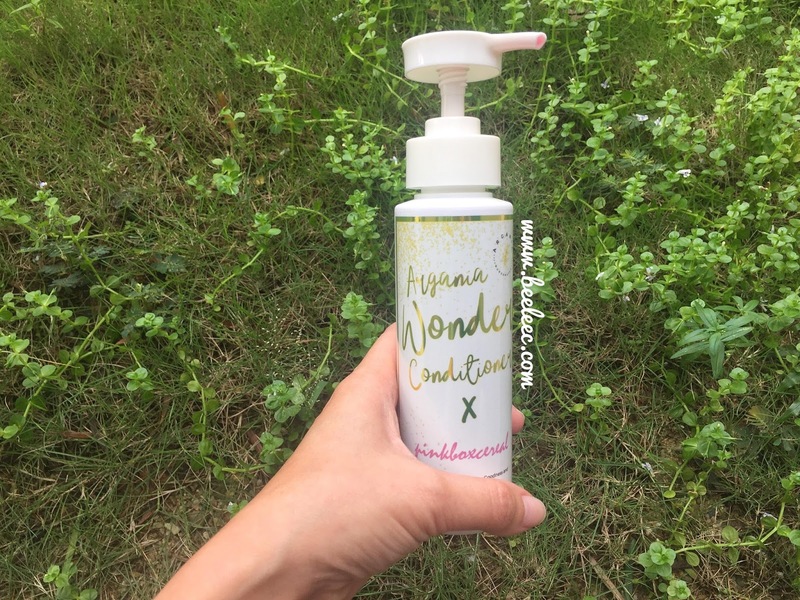 Continue with Argania Wonder Conditioner. Upon dispensing, it has the soft pink color and smells strongly of menthol. I only apply the shampoo to my scalp and massage gently with my fingers. It does not bubble much but gives a very cooling sensation. I let it sit for 1-2 mins and combed through with my scalp brush before rinsing it all away. 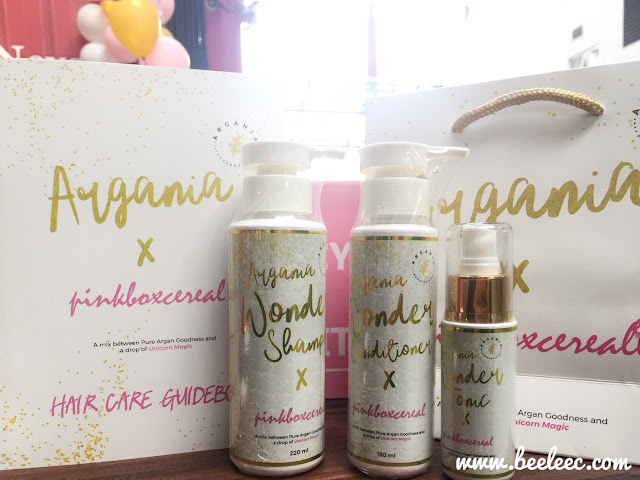 This hair care range is rich in Vitamin E to give your hair a better volume, strength, and nourishment with an added touch of luxury. 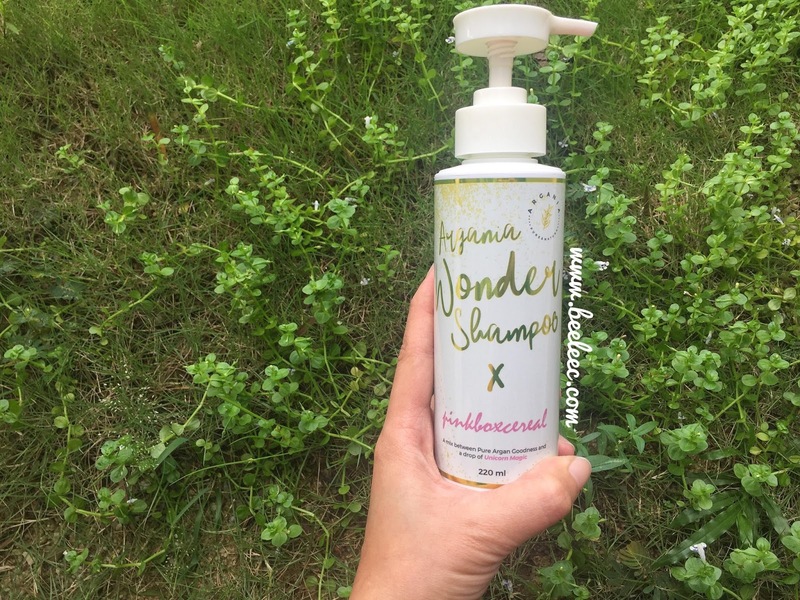 Reduces frizz, enhances shine, clears dandruff, softens hair, hydrates hair, repairs damage and protects hair and scalp from harsh surroundings and harmful chemicals. 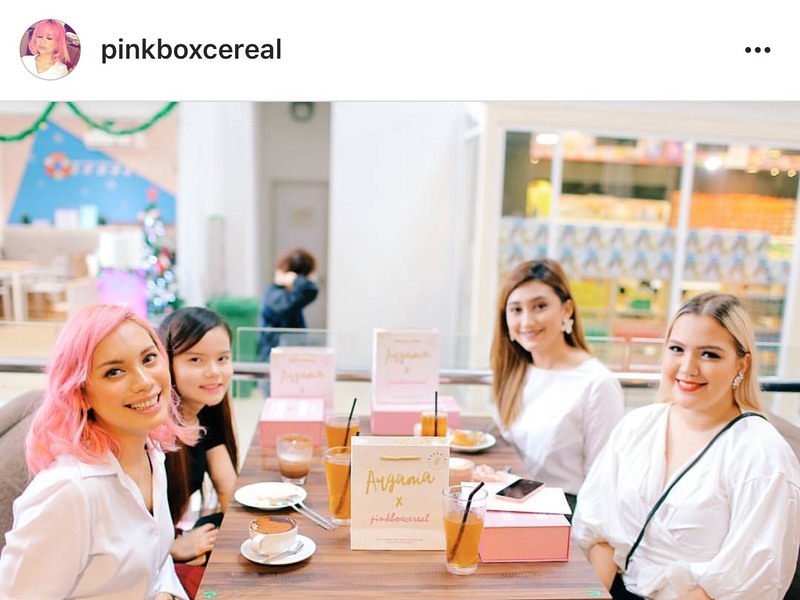 After shampooing with their yummy pink shampoo. 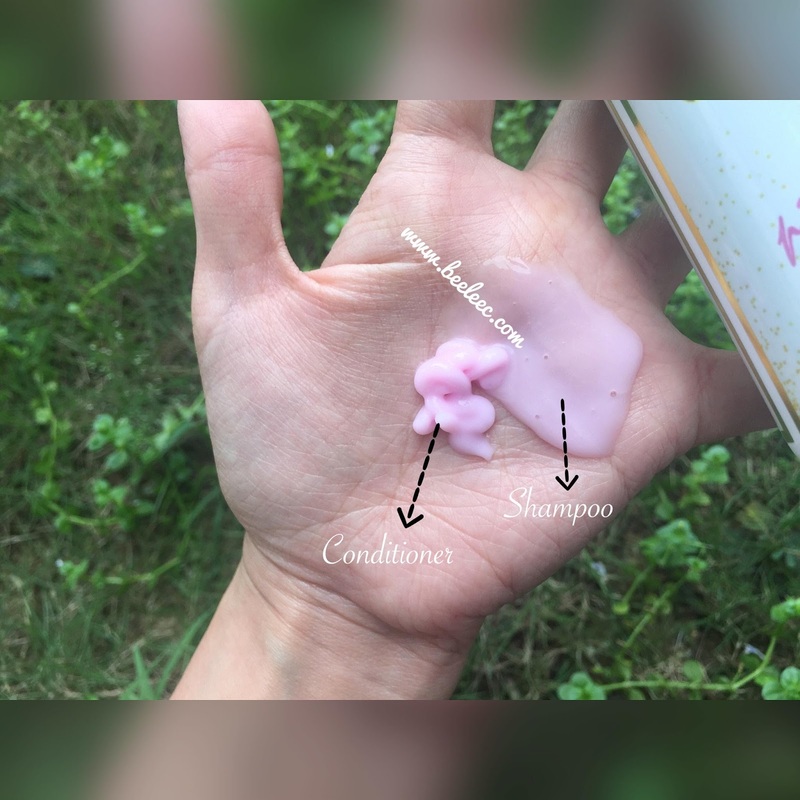 Lather a small amount of their yummy pink conditioner into your palm or directly on your hair ends. 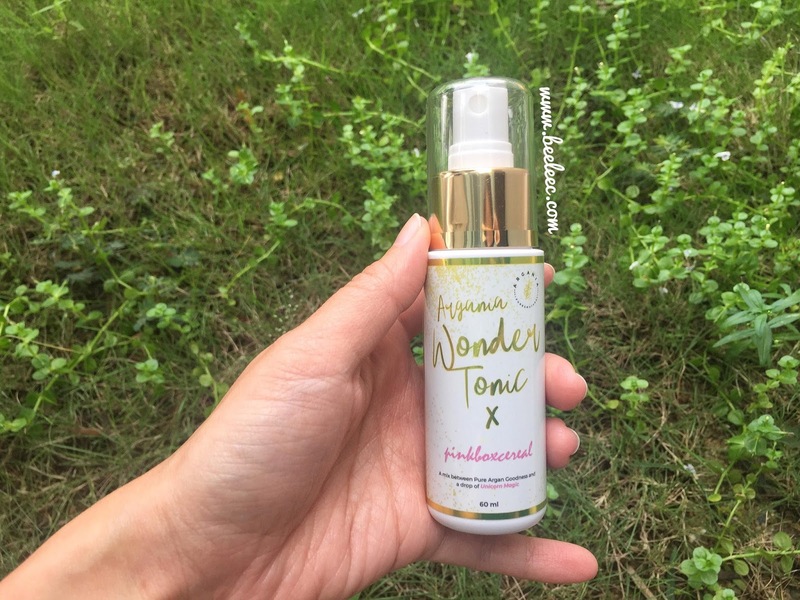 Continue with Argania Wonder Tonic. Upon dispensing, it has a slightly brighter soft pink color and has a welcoming sweet scent. 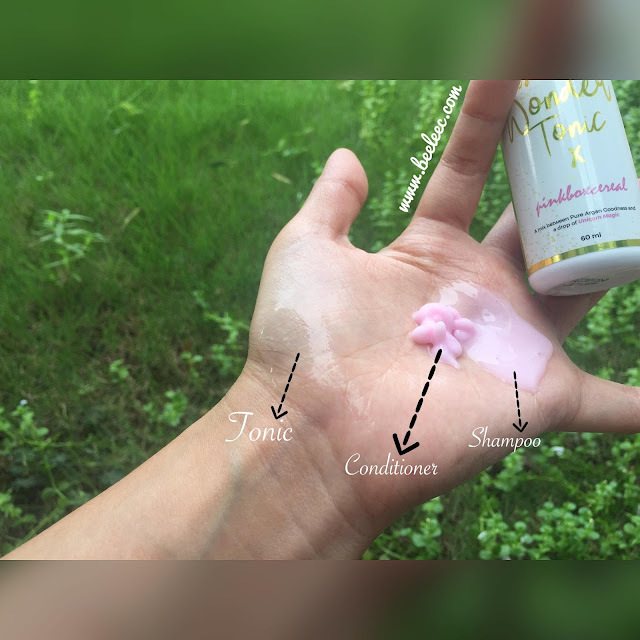 I only apply the conditioner to my hair ends and rinse off after 1 minute. 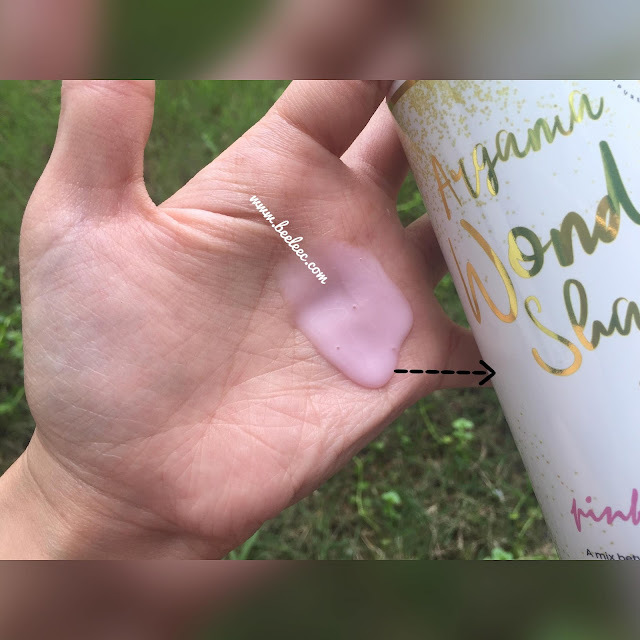 It does not feel oily like other conditioner but more of a water-based feel. Hair does feel moisturized but insufficient if you use too little. It is important to follow up with their hair tonic or your preferred hair oil/serum or leave-in conditioner. Strengthen hair roots and scalp, repairs damage and protects hair and scalp from harsh surroundings and harmful chemicals. Gently massage your hair and scalp for a few seconds. Style your hair as usual and voila, you're ready to rock your day! Can be used daily after shampoo or when needed. I like how the spritz is even at each press. The scent may be too overpowering for those who loves near to no scent kinda products. I find myself reaching to this Hair Tonic alot. However you gotta spritz more for the taming of your manes. For one whole set of 3 items, it cost RM150. It may be on the high side but it is worth the buy! At her right is the gorgeous Afiera. 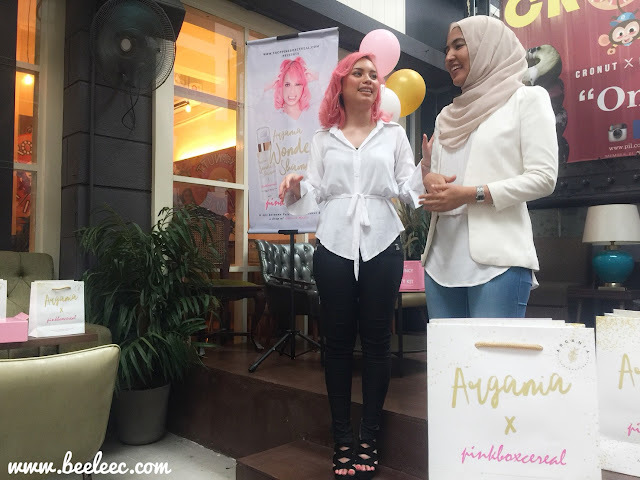 So awkward but honored coz surrounded by celebs, celeb-MUA and more! 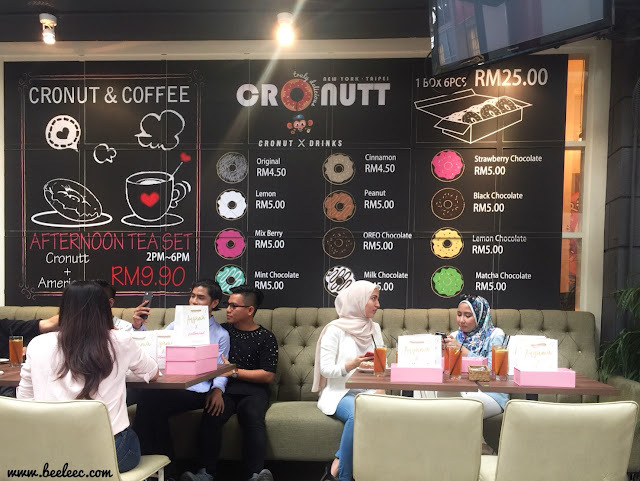 Oh, a quick mini review about Cronutt Cafe. Fun and cozy interior with multiple choices of cronutts. 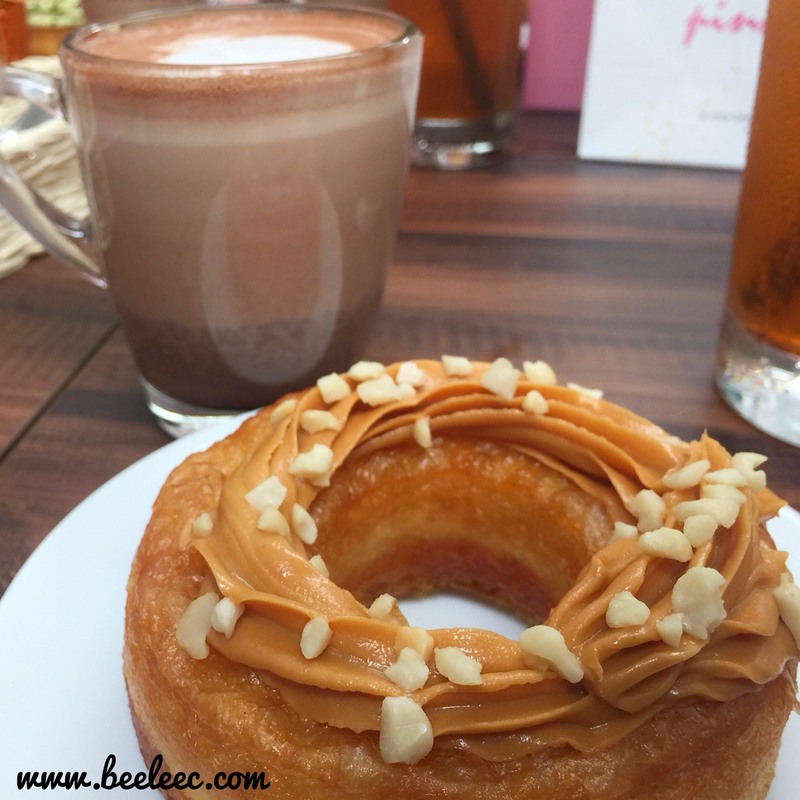 I got the peanut butter one topped with nuts. Not even reaching half of it I was feeling full already. 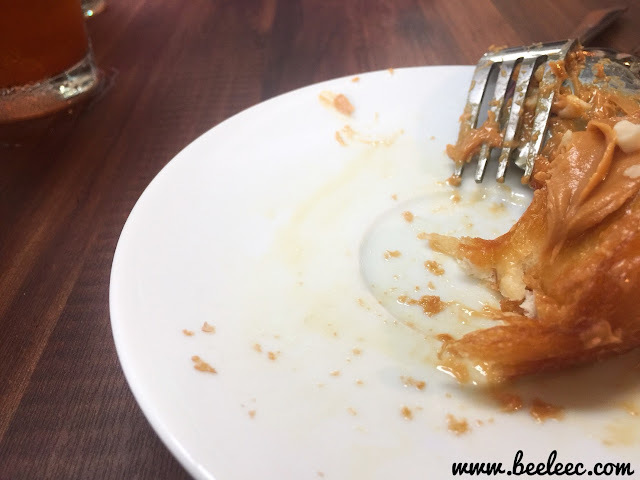 However if you are super health conscious it is not for you coz they were more oily compared to doughnuts IMO. 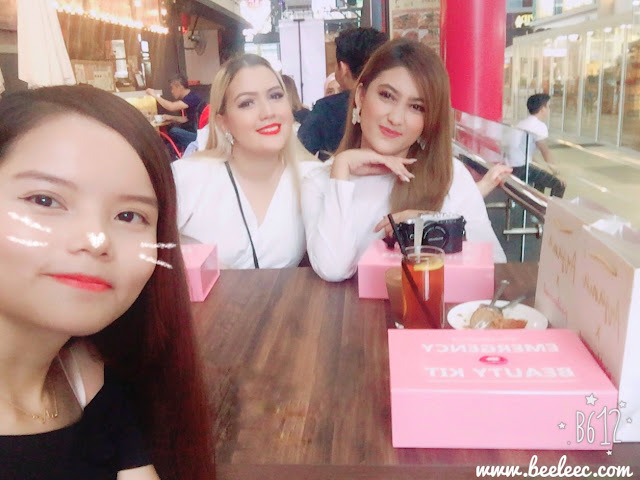 Address: Unit B9-G, (Next to Rock Taipei), Sunway Giza Mall, Kota Damansara.